WordStream provides a set of free tools for webmasters and business owners, including keyword research tools designed to help with keyword analysis, keyword suggestions and keyword grouping, as well as free ad campaign graders. Learn more about our free tools below. The Free Keyword Tool by WordStream is fast, accurate, and comprehensive. It's the best way to find keywords to use on your website and in your marketing campaigns for FREE! The Free Keyword Niche Finder is an innovative keyword tool that returns structured keyword suggestions rather than a disorganized list. Just enter a keyword to find your most relevant and profitable keyword niches for your Internet marketing efforts. If you already have a keyword list, the Free Keyword Grouper can transform your list (up to 1,000 keywords) into an organized keyword structure ready for high-performance PPC marketing campaigns and an SEO-friendly information architecture. 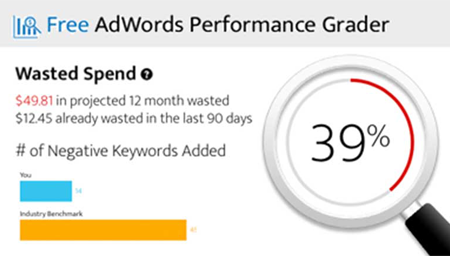 Check out our other free marketing graders including the award-winning AdWords Performance Grader. It's a fast, easy way to check your AdWords performance against similar advertisers and get free advice on how to improve.